Below are some of our favorite products to help transform your plain, dead, polluted water into wonderfully clean, fresh, oxygen-rich, healthy, living water. Feel the difference vibrant water can make in your family's lives! Whether is simply clean fresh water you want... or potent, energized, structured, high pH healing water to help combat challenging health conditions... we have what you need. Water filters are no longer a luxury, they are a necessity! Our public water supply is arguably the single most contributory factor in today's skyrocketing epidemic of immune compromised diseases! Pristine water for less than 1� per gallon over life of filter! SAVES $1000's vs. other water filters. Patented 5 filter beds, premium multi-filter layered system. 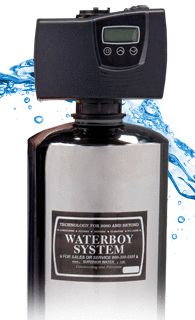 ♦ Eliminates contaminants, but allows the minerals to remain! 17 lbs. of filter media create a WHOPPING 440 cubic inches. Flow Rate of 1 gallon per minute. Simple, do-it-yourself installation. CD video included. Simple back flush with Push-button, leak-free quick disconnects. Better than bottled water, Better than R/O. Better than any other filter. Comes with its own deluxe, long-reach water faucet. Heavy-duty, precision-engineered vessel, ensuring many years of trouble-free use. Ozone is often referred to as the "master sterilant". Ozone is known to kill 99.9992% of all pathogenic germs in water while destroying 99.9992% of all pollutants in the water simultaneously! When taken internally by drinking ozonated water and oil, you have a safe ozone therapy available to help rid your body of toxins of ALL kinds, fight infections, candida, viral outbreaks, and much more! Structured, or "hexagonal", water is nature's perfect design. Today's public and bottled water supply is nearly void of all structure, making it very inefficient. Start feeling better simply by drinking this amazing water. Various sizes to meet you needs. Fluoride / Arsenic filters available. These statements about water pollution, water filters, Kangen water machines, Wholly Water systems, The Vitalizer Plus, the P250 Ozone machine, etc.... have not been reviewed by the FDA.